MRI applications require a highly uniformSee homogeneous. magnetic field, generally within a few ppmParts per million, or 10-6. Bigger than a ppb, but still pretty darn small..... NMRNuclear Magnetic Resonance. 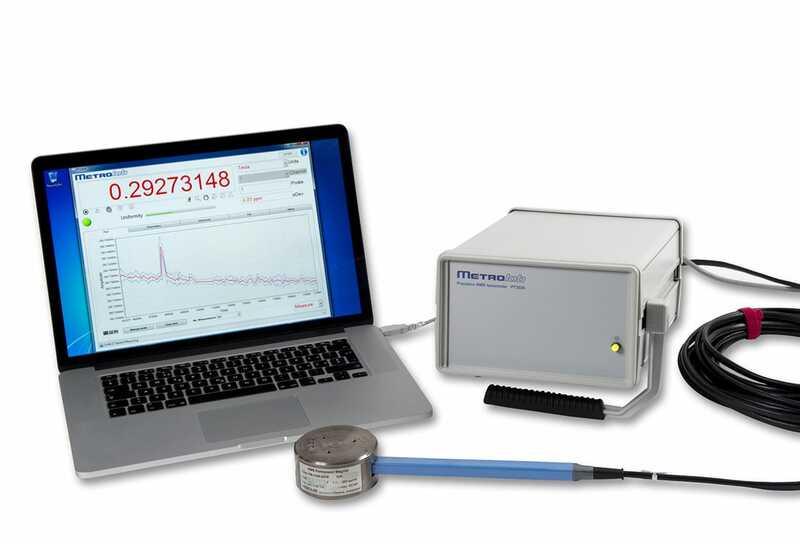 A resonance phenomenon seen when you irradiate a sample in a magnetic field with an RF field.... is the only magnetic measurement technique capable of providing a field map with that degree of precisionPrecision is how closely multiple measurements will be clustered. Also called reproducibility or repeatability. In everyday speech, often confused with.... In the past, manufacturers used a Metrolab PT2025 NMRNuclear Magnetic Resonance. A resonance phenomenon seen when you irradiate a sample in a magnetic field with an RF field.... PrecisionPrecision is how closely multiple measurements will be clustered. Also called reproducibility or repeatability. In everyday speech, often confused with... TeslameterSee magnetometer., with a probeThe actual sensor that is placed in the magnetic field. 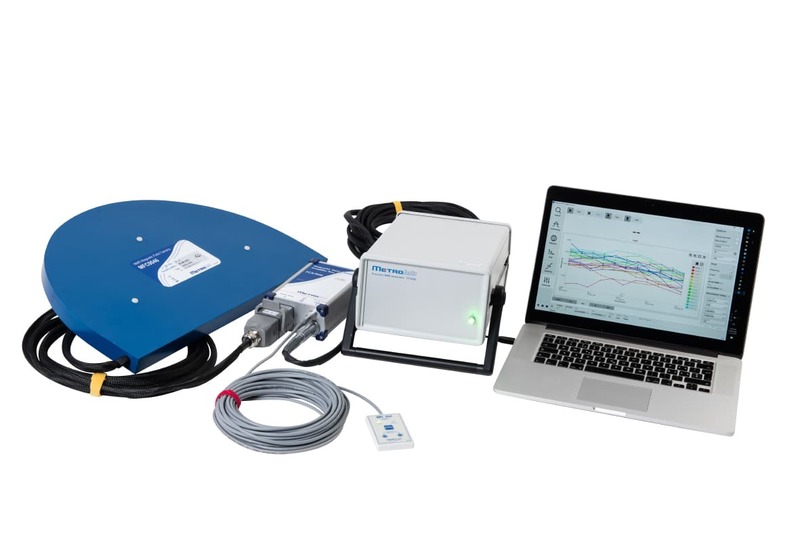 The NMR probe contains the NMR sample; the Hall probe... mounted on a jigIn our context, refers to a mechanical structure that allows a probe to be placed in known locations in the... to map out the volume of interest. 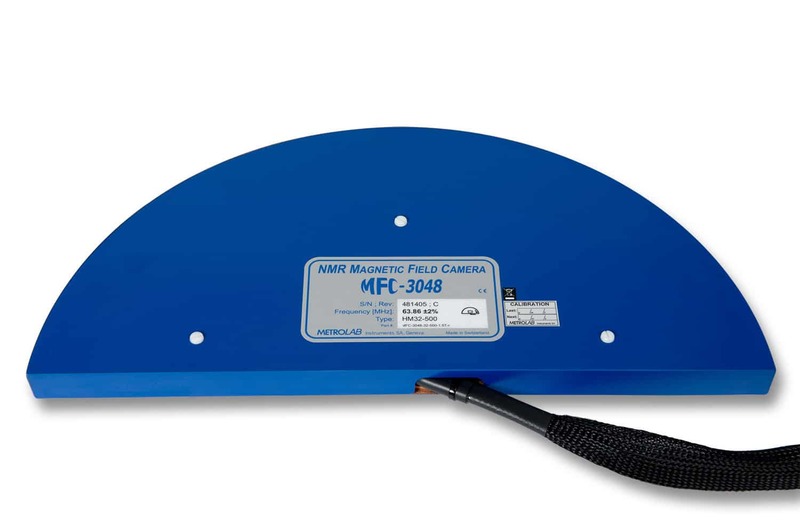 In some cases, this solution is still appropriate, but in the vast majority of situations, manufacturers have been convinced by the improved speed and precision provided by the MFC3045 Magnetic Field Camera. 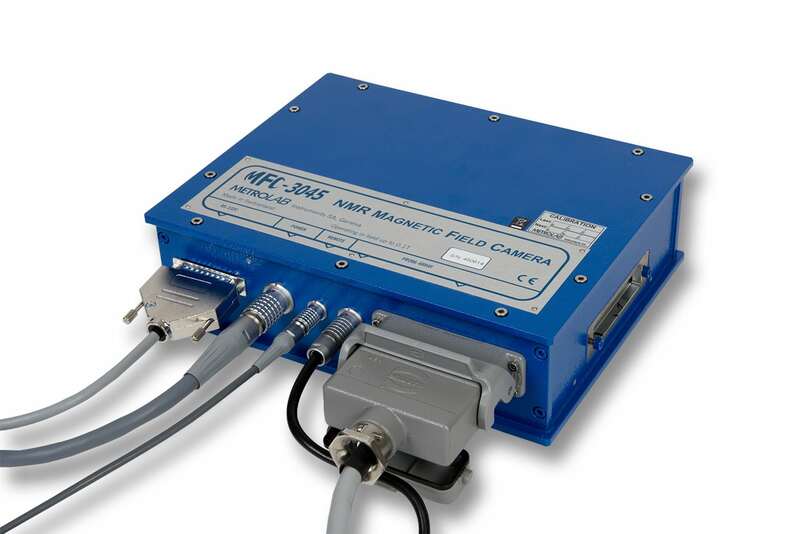 The computational heart of the Magnetic Field Camera is the MFC3045 Main Unit, housed in a tough aluminum case, placed at the base of the magnet to be mapped. It processes up to 32 NMR channels in parallel. 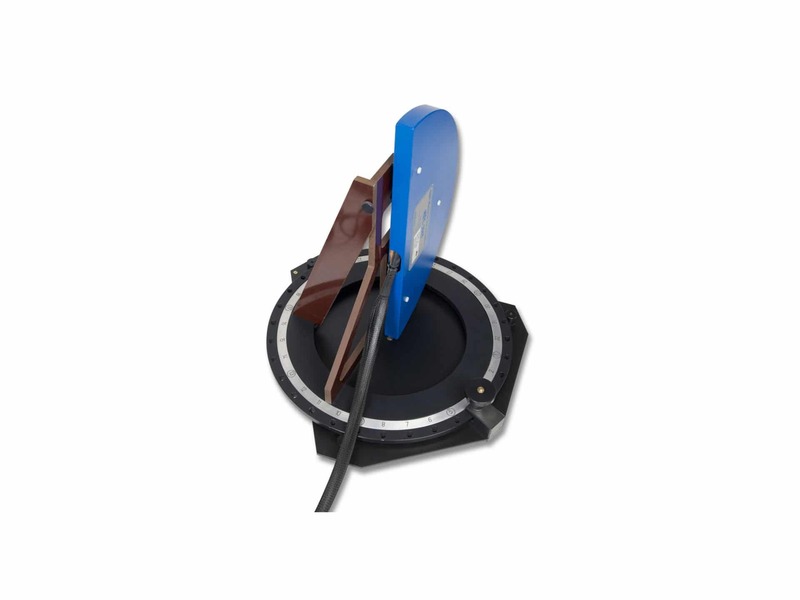 The NMR probes are precision-mounted, typically in a semi-circular pattern on a lightweight and perfectly flat composite base plate. 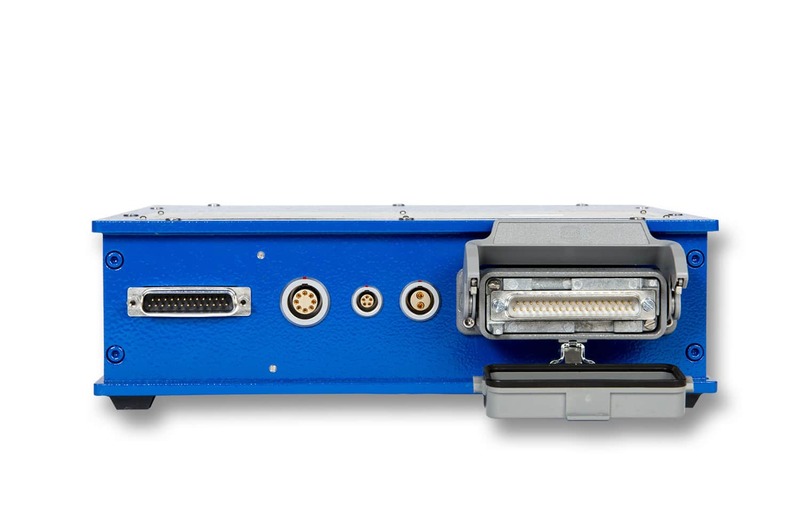 The MFC3048 Probe Array is completed by a shielded cover and a 4 m long cable, with an industrial-strength multi-pole connector to connect the Probe Array to the Main Unit. A simple normalization procedure minimizes any remaining probe-to-probe variations. 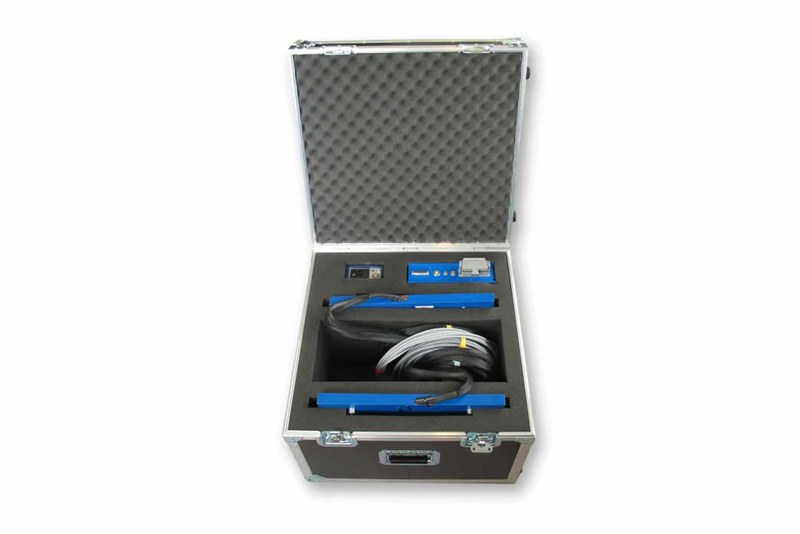 Each Probe Array is specifically tailored to your magnet, and requires specifying the number of probes, the shape, and the field strength. For a supplemental engineering and tooling charge, Metrolab will build a non-standard configuration to your specifications. 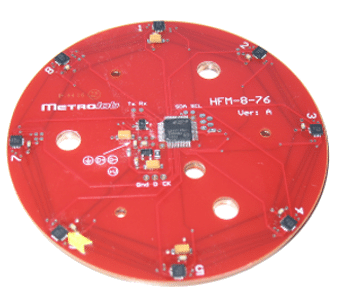 To produce a 3D map, a jig revolves the MFC3048 Probe Array in the target area. 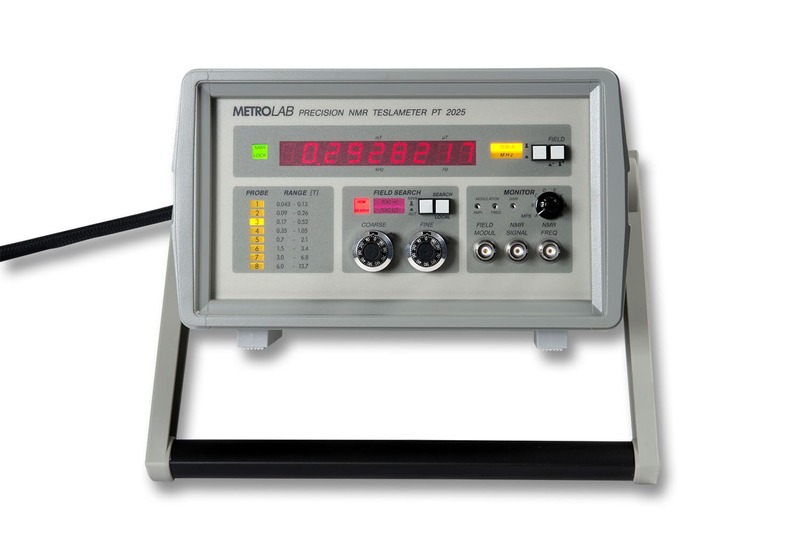 Metrolab offers the MFC3039 Probe Array Holder for horizontal, solenoid type magnets, and the MFC3040 for vertical, dipole type magnets. Both jigs, manually operated, provide positioning accuracy of a fraction of a millimeter. 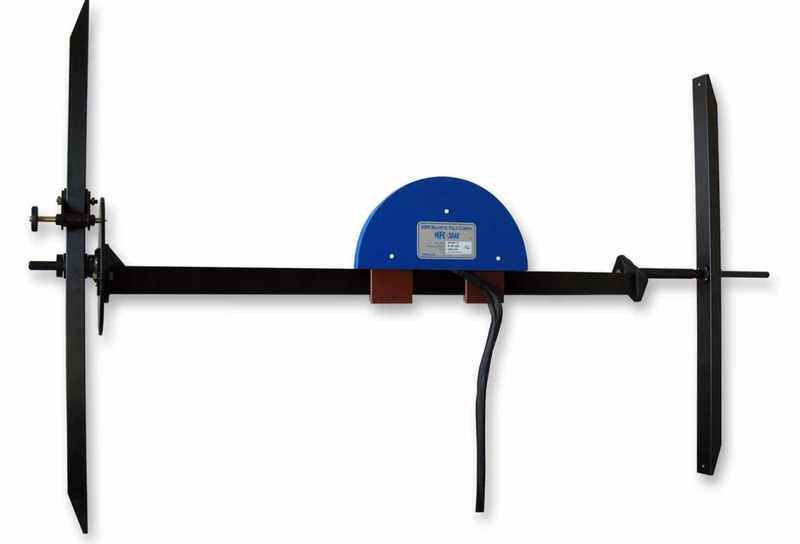 The MFC3039 attaches to the mounting bolts on the front and back faces of the magnet, whereas the MFC3040 mounts on the lower pole. 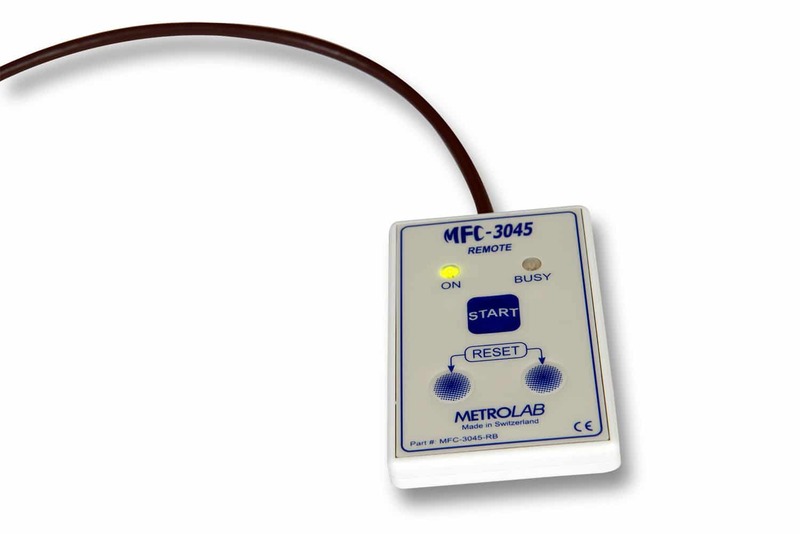 The MFC3045 operates under computer control, usually with the Metrolab-developed WinMFC software. A remote control unit, connected to the Main Unit, allows the operator standing near the magnet to initiate a mapping cycle once he has placed the jig at the correct angle. 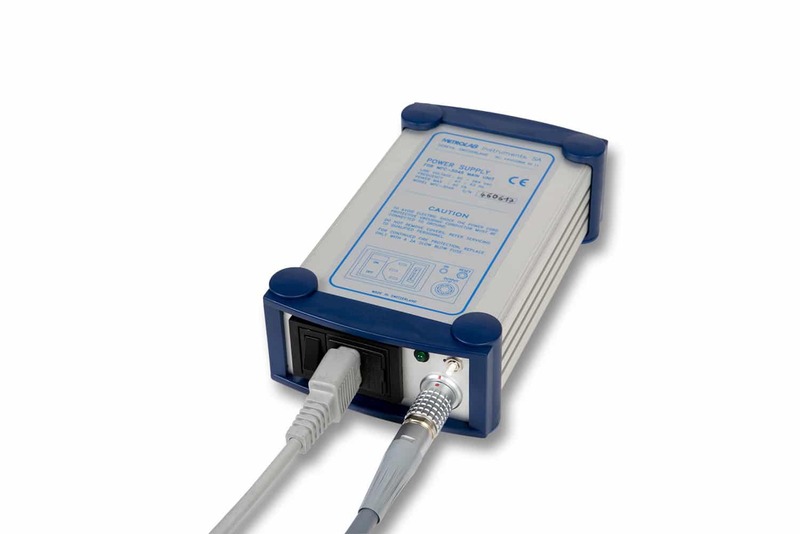 The MFC3046 power supply unit, which is sensitive to magnetic fields, is generally placed near the computer. 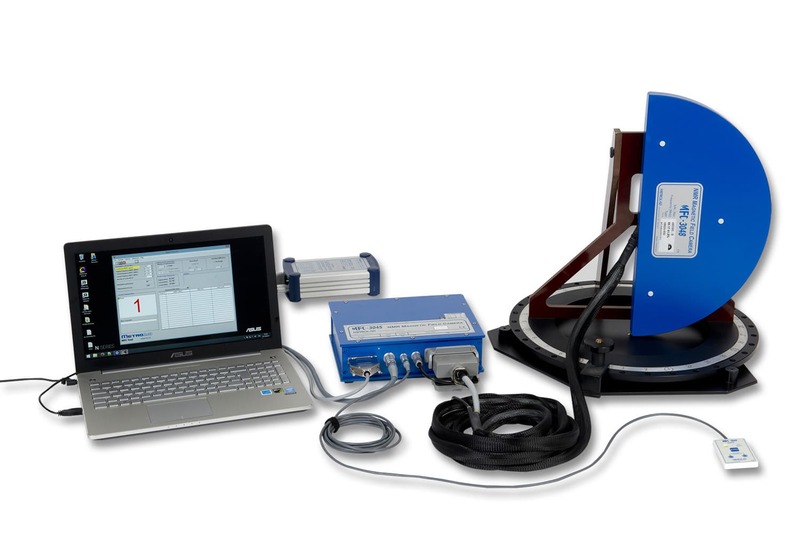 Metrolab’s Magnetic Field Camera system has revolutionized field mapping for MRI magnets. The acquisition time has been reduced roughly two orders of magnitude, from several hours to a few minutes. 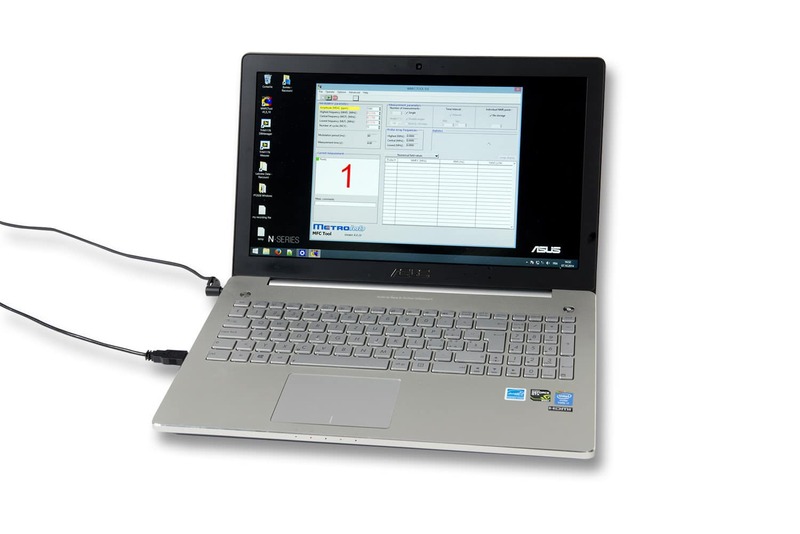 In addition to reducing human errors and remaps, rapid mapping avoids inconsistencies due to the drift of the magnet. The probe positioning error has been also been reduced by an order of magnitude, greatly improving the reproducibility. It is no wonder that all leading MRI magnet manufacturers have adopted Metrolab’s Magnetic Field Camera system for all their new developments.